Neurosurgeons conduct vascular recanalization for treatment of cerebrovascular diseases. Successful surgery necessitates surgery the minimization of flow disturbances due to blood during surgical intervention. However, monitoring the flow of blood under surgery is difficult due to a lack of imaging tools for visualizing microcirculation in the brain. 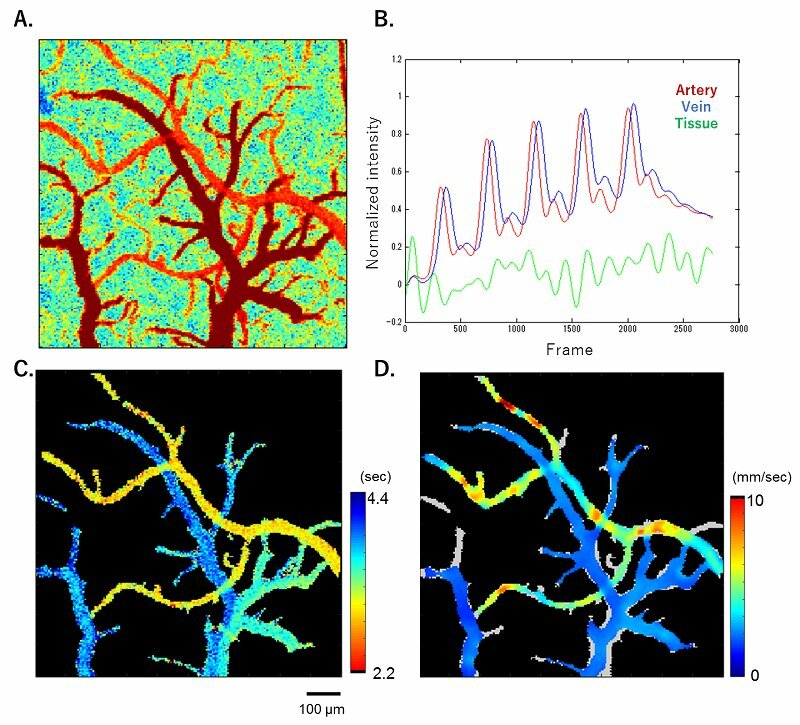 Now, Kazuto Masamoto at the University of Electro-Communications, Tokyo, and colleague at National Institute of Radiological Sciences in Japan have developed fluorescent imaging-based visualization tools for imaging and analyzing cerebral microcirculation. The principle of the present method is to automatically calculate the distance for movements of fluorescent tracers (e.g., indocyanine green) which were intravenously injected, from movies of the fluorescence. The distance is divide by the rate acquired, resulting in an approximate of the velocity of the fluorescent tracers on each pixel. The researchers first confirmed the accuracy of their method using phantom-tubes with known flow velocities from the injection of fluorescent dyes that imitated the microcirculation conditions of the body. Then, animal models were used to validate the methods.